This 6"x12" Chipboard Sticker Sheet has an assortment of Chipboard Pieces to accent your Craft Projects. 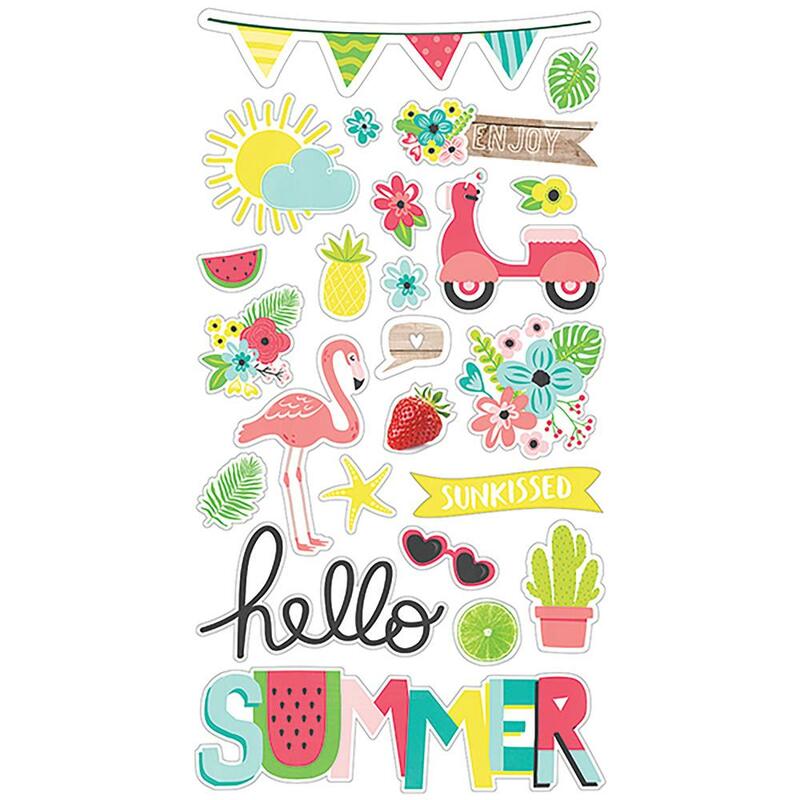 Part of the Hello Summer Collection by Simple Stories. Look for coordinating 12x12 Sticker Sheet, 4"x 6" Sticker Sheet and a variety of 12x12 Designer Papers.